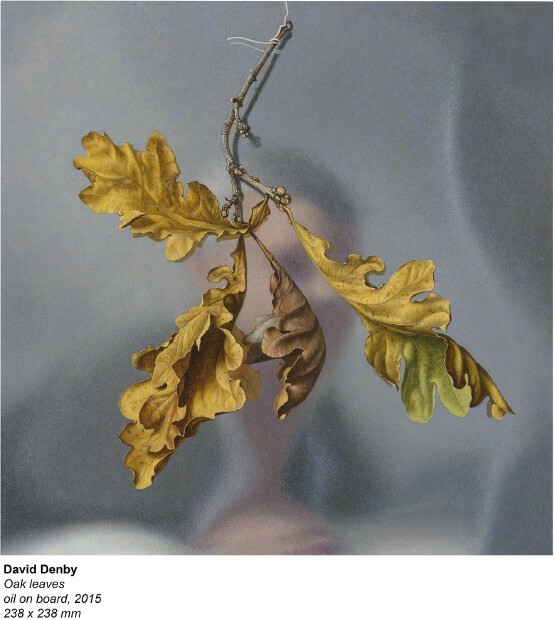 David Denby was born in Guildford, England in 1946, and studied painting at the Royal Academy Schools 1968-1971 where his tutors included Peter Blake, Patrick Caufield, William Scott, Edward Bawden and, most importantly, Fred Dubery. He has exhibited at the Chappel Galleries, Essex, in 1989, 93, 94, and at various London galleries between 1994 and the present including The Royal Academy and The Fine Art Society. Gunilla Ahlstrom showed his work at Galleri 1+1 in Sweden, from 1972 to 1995. His paintings are in private collections all over the world and this exhibition is the largest of his pictures ever held in the U.K. I've not really had a "career" but just sold enough pictures now and again to pay the bills.I have a small output (some of the paintings in the show have taken more than 500 hours,..average time 350-400 hours to paint), and so it's been difficult to show them around.Over the past 45 years most of my work has been bought by folk from every part of the world except South America.Some of my paintings hang with very distinguished company.My stuff is not olde worlde or avant garde/cutting edge/any kind of "ist", so it's never attracted any critical interest and often in the past it has been sold as soon as it reached the gallery,so there has never been any serious promotion.There is a group of secret collectors across the planet who own my pictures.My best work has never been seen by the public because the various dealers I have shown with have always sold it straight away. I am more moved by old pictures than the work of my own time.I have painted a few really good pictures over the years,but I am not happy with most of my production . (most painters feel the same way about their work. ), and I've always felt ashamed of spending my time pretending to be an "artist".